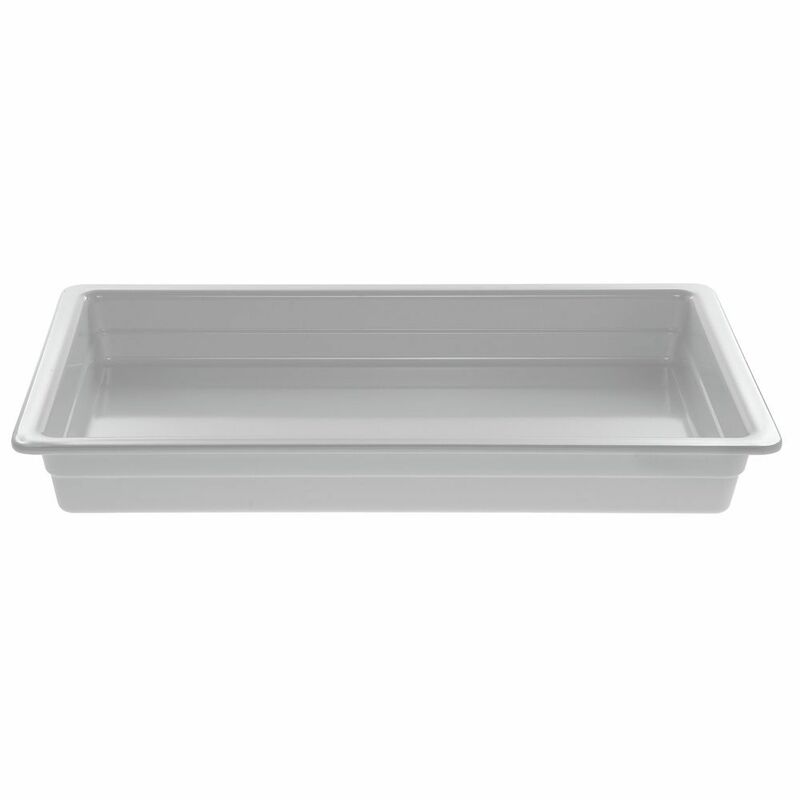 This food pan is full size measuring 20 3/4 x 12 3/4 x 2 1/2 (L x W x D). 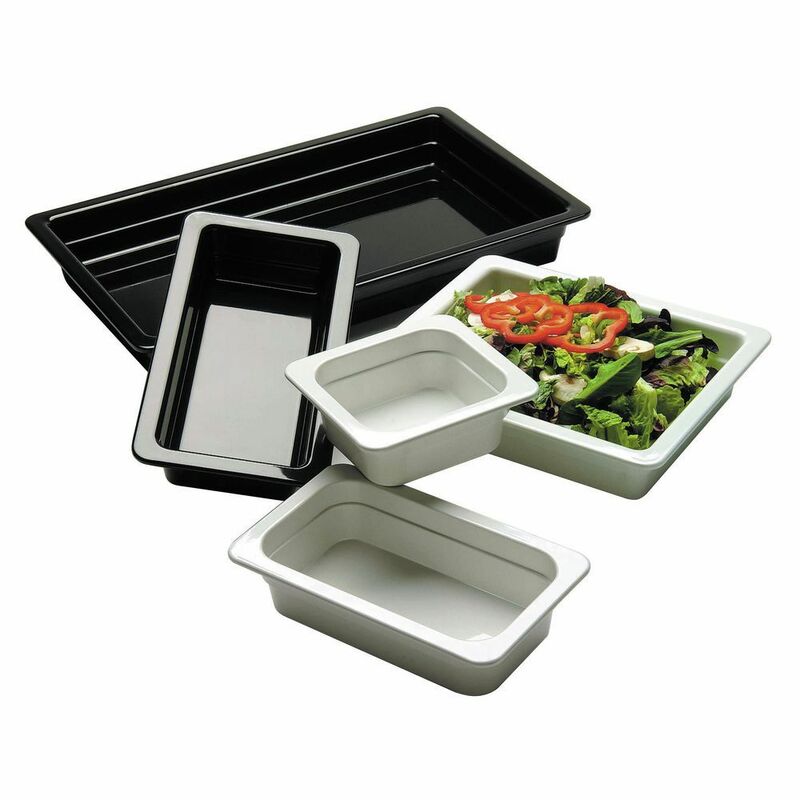 This melamine container can display a large amount of foodstuffs. 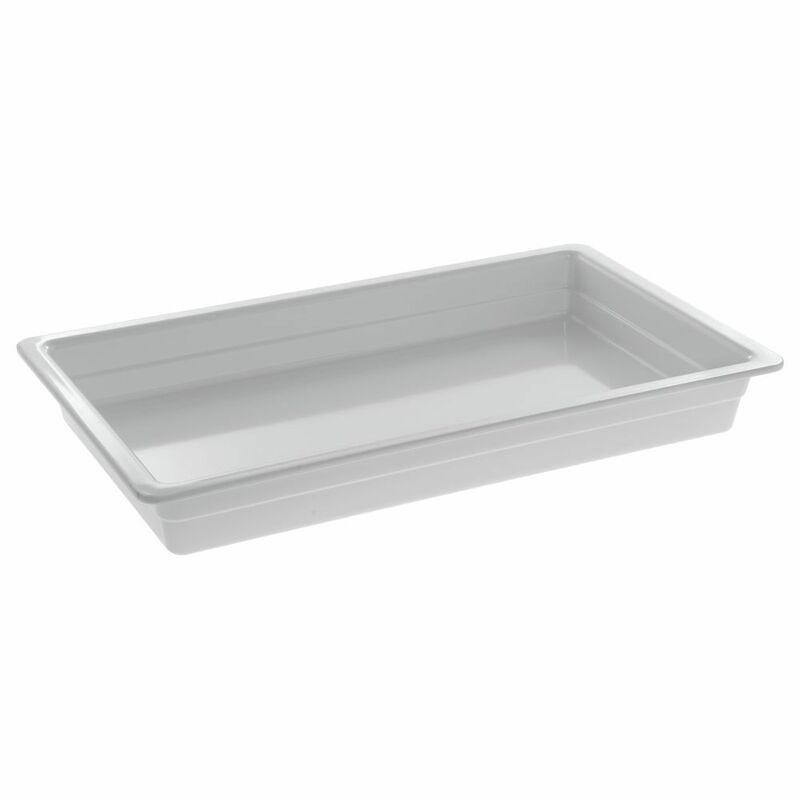 This food pan is constructed from heavy weight melamine plastic. 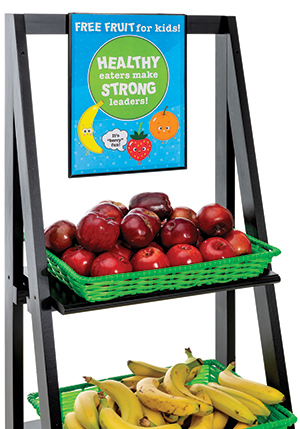 This salad bar insert comes in white and will not fade. This food pan is for cold bar display only.